i'm always down to try a new place for carryout / delivery ... so one evening, when josh & i were craving two different kinds of asian food, we searched grubhub, as we usually do in this situation. after much scrolling, we landed on duck walk, self-described as "authentic thai cuisine & byob." here's the thing. duck walk isn't just thai food. it's basically all kinds of asian. so both of us were happy campers. 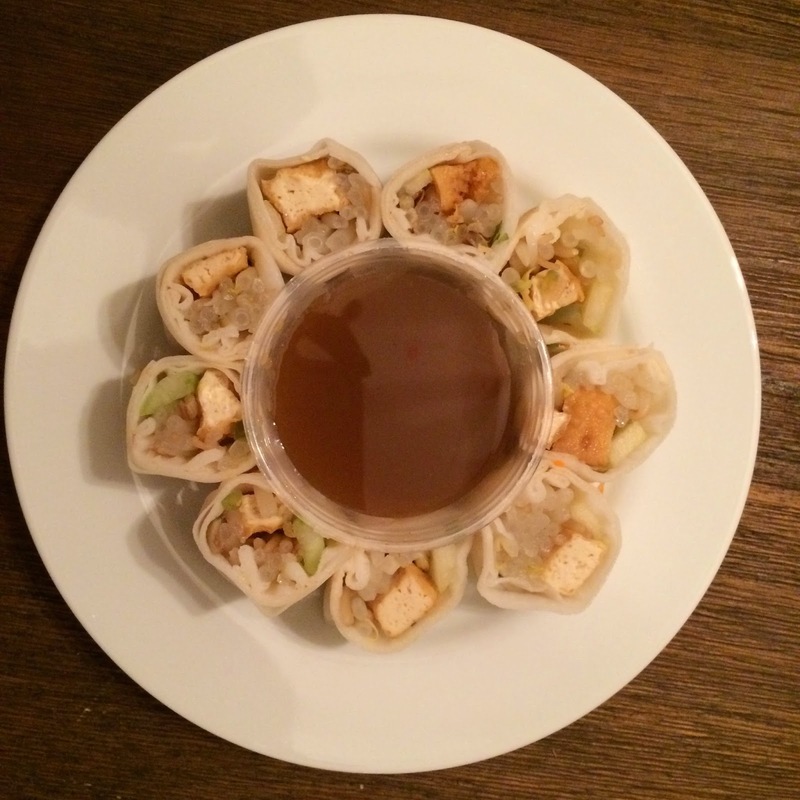 thai soft rolls filled with cucumber, bean sprouts & tofu & served with plum sauce. 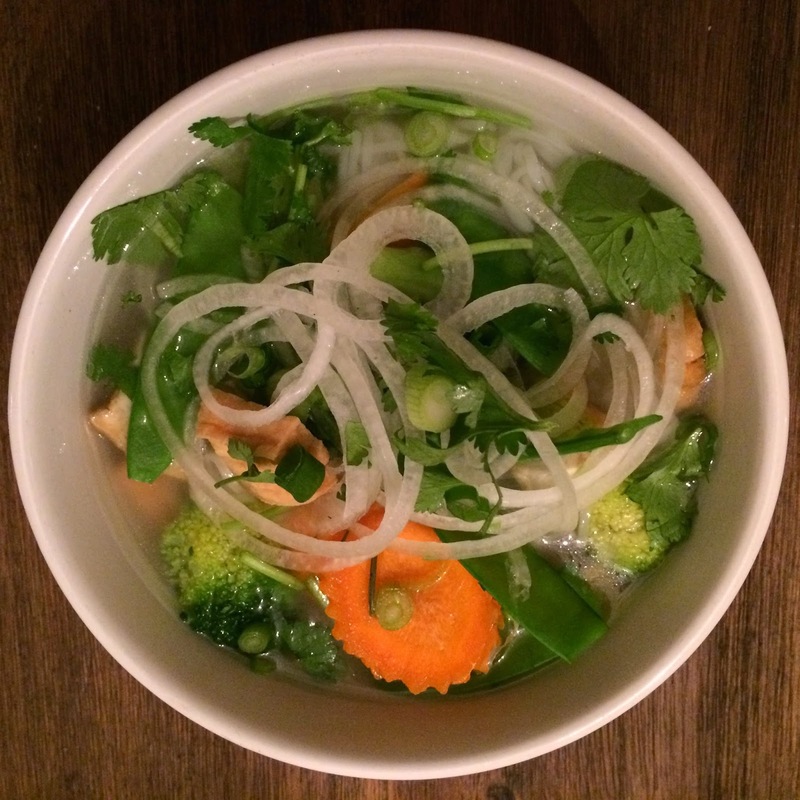 vegetarian (vegan) noodle soup w/ fresh tofu & assorted vegetables in vegetarian (vegan) broth w/ slickd onion, scallion & cilantro. served w/ fresh bean sprouts, basil & lime. this looks ultra legit, right? and let me tell you, it is. it reminds me of the soup at pho lily ... fresh veggies, plentiful tofu, amazing flavors ... generally delicious. duck walk is now officially my new favorite place for pho delivery ... my life has been lacking in this area ... i am glad to say, it's now complete.